Interested in getting involved with the Sports & Entertainment Law Section? Fill out this form for more information on committee positions and volunteer opportunities. The Sports & Entertainment Law Section Executive Committee welcomes blog submissions which will enlighten and educate members of our section. Please be advised that submissions will be reviewed prior to posting and may be edited for content, clarity and space limitations. Submissions should be sent to Kara Sikorski at ksikorski@indybar.org. 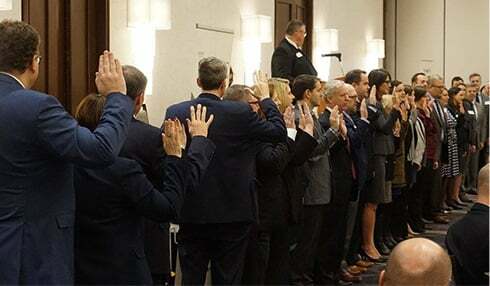 The mission of the IndyBar's Sports & Entertainment Law Section is to promote the objects of the Association within the field of sports and entertainment law. To that end, it shall be the purposes of this section: (1) to concern itself with every aspect of the ethical practice of sports and entertainment law; (2) to become familiar with and get involved with current sports and entertainment events and issues in the State of Indiana; (3) to study, report upon and recommend improvements to legislation, whether federal or state, pertaining to the section's concerns; (4) to bring together members of the Association interested in sports and entertainment law and to confer upon the various issues in these areas; and (5) to promote the legal education of members of the Association and the public by sponsoring meetings, institutes and conferences and by preparing and publishing articles concerning sports and entertainment law. Want to keep up with the latest Sports & Entertainment Law Section news and updates?